If You Are the Victim of A Dog Bite or Dog Attack, Hire ZuppkeLaw to “Bite Back”! From poodles to pit bulls, ZuppkeLaw has been handling dog bite cases since 1980. 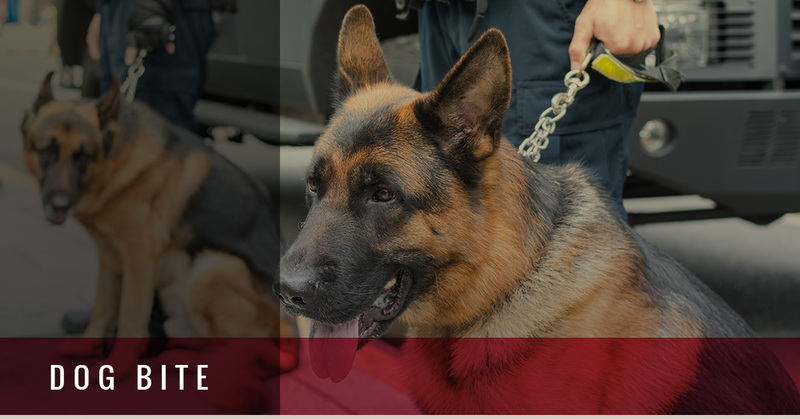 Michigan’s dog bite laws are very helpful to the victims, and we can help you recover full and complete compensation regardless of the injuries you’ve sustained. In almost every case, there is an insurance company who will be responsible for payment of your compensation. Whether you were bitten by a vicious neighbor’s dog on the loose, or your child was bitten on the face by a family member’s dog, we can help protect your rights as a dog bite victim. We recommend that you fully document your injuries and take pictures of the scene of the incident and gather the reports and other records from the local authorities, (police or fire or animal control). Find out who owns the animal when it is a stranger’s dog, and always contact the police following a bite. NEVER talk to the dog owner’s insurance company until you have legal help. The adjuster or claims representative’s only job is to save the insurance company’s money. They will try and fool you. They will try and get you to settle cheaply. Don’t sign anything. Call ZuppkeLaw, if Winning is Your Only Option! In Michigan, the owner of a dog has certain legal obligations such as keeping their dog on a leash or otherwise tethered. Michigan law prohibits a dog owner from allowing their dog to run on the loose…even in parks. Dog owners are responsible for any injury caused by a dog bite unless the victim provoked the dog to bite, including medical expenses, pain and suffering, and more. At ZuppkeLaw, we have the experience, tenacity, and compassion needed to get you the recovery you deserve. Our reputation for fierce and unrelenting litigation in the courtroom started in 1980 when David F. Zuppke first started the practice. But, it takes more than raw aggression to win cases. It takes dedication, hard work, a solid strategy, and a love for the law. To win a personal injury case, it also requires an understanding and compassion for injured victims. That’s what you should expect and demand from your attorney. So, if you are the victim of a personal injury, call ZuppkeLaw now. When Winning is the Only Option®. How much money is this going to cost up front? Not a dime. ZuppkeLaw handles all of our Michigan dog bite and personal injury cases on a contingency fee basis. And, in almost every case, ZuppkeLaw will advance the litigation costs needed to get you paid. ZuppkeLaw doesn’t get paid until you get paid.